Don't Feel Like Reading Today? Here's A Quick Rundown Of The Makita Miter Saw Review. This Makita miter saw comes with a 10 inch blade and runs at 3200 RPM. It's a lightweight miter saw that also features Makita’s one and only signature compact rail design, a user friendly miter locking feature, dual side slide motion feature and a dual side blade head tilt feature for bevel cuts. Model LS1016L is a well-rounded product; it's a full-fledged package that’s able to meet the demands of wood workers from all over the world. Off the top of my head, I can only think of a select number of miter saw brands concerning miter saws. 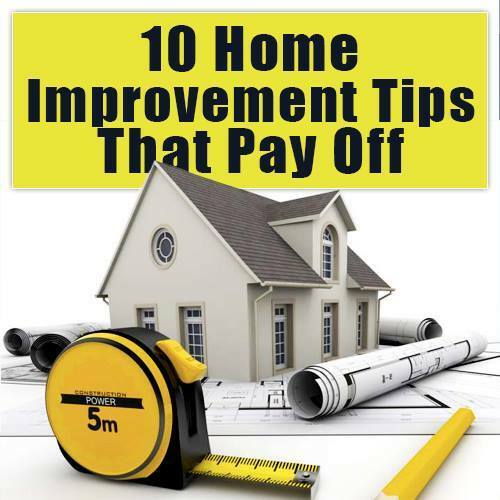 The reason being is the fact that they are mostly expensive, and it is not easy to switch over to an alternate power tool in case you end up with a low quality one. Speaking of reliability and convenience, I recently reviewed the Makita LS1016L 10-Inch Dual Slide miter saw. It is a compound category miter saw, which calls for ability to slide and tilt it in different directions. The company made a remarkable product – and given that there is a laser projection guide system, inaccurate cuts are no longer an issue. So that’s that and a lot of reasonable decision making that went into purchasing this Makita miter saw. I didn’t get it as a loaner unit from Makita. Although I wish I had received the product for a few days. Anyhow, the point is that this miter saw works as advertised, and when combined with some fancy features, it works wonders for wood workers. What Do You Need to Know about Compound Miter Saws? 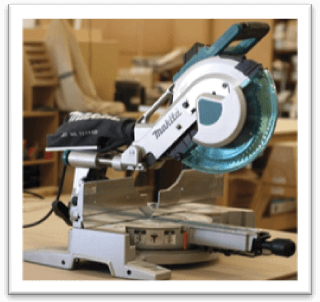 Before you buy the Makita LS1016L model or any other miter saw on an impulse, you should know a thing or two about miter saw categories. In my last Bosch GCM12SD miter saw review, I broke down the categories to help readers understand how miter saws operate. However, since Makita LS1016L model is strictly compound, I’ll reiterate on this category only. These are the type of compound miter saws that can be tilted in one direction only for bevel cuts. If you have seen Dewalt DWS 780 promo videos, don’t forget to check out their bevel cuts segment. The guy practically tilts the miter saw blade head to one side to demonstrate the ability to make angled cuts. ​Stationary compound miter saws are as much popular as any other category, but since they come with the benefit of tilt direction cuts, you get the idea here. Also, these miter saws do not slide on the rail which they sit on. Some manufacturers make the exception of installing a sliding rail base for the convenience of users, but many models don’t offer this feature. Hence the expression “stationary” comes into perspective. These miter saws have a greater cutting arc over their counterparts. Yep, you got that right; this category of miter saws offers the ability to not only tilt the blade head in two directions, but also slide the blade head assembly on the rail. The rail’s length varies – therefore the freedom of movement is either limited or it isn’t. Sometimes, manufacturers install multiple rails to a single miter saw model. It depends on the requirements of the buyer. A lot of woodworking professionals seek out services of metal working experts for customization jobs on miter saw rails. It comes down to what kind of projects and contracts you are looking to take up on once you have the miter saw. For instance, if I am looking to make large cuts on a dense wood panel, I use a sliding compound miter saw. I can use the head to move it back and forth or from front in a backward direction for quick succession. Another interesting fact is that sliding compound miter saws are not that awesome! Yeah, they have their benefits, but sometimes-stationary compound models take the advantage by a long shot. Right out of the box, the surprising element with the Makita LS1016L 10 Inch Miter Saw lies beneath its humongous body. This pupper has got smaller tubes/ rails instead of the traditional bigger design. Makita people said that smaller rails offer more rigidity – and hence causes the efficiency factor to go up. As a woodworker, I am only concerned with getting the job done in a minimum amount of time without compromising the quality factor of the project. Makita’s claim was put to test because I decided to make a few cross cuts. This model is basically the same as other competitor products such as the Hitachi C12RSH2 and the Milwaukee 6955-20, but the innovation factor kicks in when you’re looking at different angled miter capacities. For example, you can title the blade head of the Makita LS1016L model at precisely 52° degrees to the left side, and 60° degrees to the right side. Likewise, the cuts are approx. 12 inch deep. I know the blade’s diameter is 10 inches, but some users have somehow gone up to a depth of 12 inches. The level of cut depth also depends on the cut material. Keep that in mind. With Makita LS1016L 10 inch miter saw, you can make a precise bevel cut with a 45 degree angle at both sides. The tilt motion offers freedom of making equal bevel cuts, as long as they are within the aforementioned limits I stated earlier. Overall, I am very much pleased with the build quality. Makita is already famous for building durable power tools – and I have written at length about the quality of their products in many other reviews. You can read Makita Circular saw, Makita power drills and chainsaw reviews where I take out an extra few minutes to write about the individual product category. The fitting is perfect; parts don’t seem to be lose. In addition, there are no squeaky sounds when you put pressure on the miter saw’s hinges. Lord knows that my heart skips a beat whenever I hear a part squeak; it tells a lot about the build quality. On the outside, Makita installed a very sturdy depth stop on the Makita LS1016L miter saw model. It does not help to maintain the depth all the way towards the fence but you can still get by. The full range of depth motion it could have achieved if they installed the saw blade in a different way, or one with a smaller diameter. However, that would compromise the cut quality too. Under the hood, the Makita LS1016L 10 inch miter saw comes with a powerful 15 AMP motor. It is more than enough to churn out high speed RPM from the blade. Since the miter saw itself is able to slide, you can conveniently cut a long range of materials easily. The part where this motor really helps is that it tends to keep the blade throttle stable. Sometimes, miter saw and table saw blades slow down when dense wood material is fed in, but Makita does not make any compromises. The blade cuts like butter through a hot knife. Wait! That did not come out right; the blade cuts like a hot knife through butter. The particular thing to keep in mind is that you need to feed the material slowly. Even if you are thinking about sliding the Makita LS1016L’s blade over the material, do it at a slow and steady pace. The point is to avoid overheating the blade so that it doesn’t make those ugly burn marks inside the area were the cut is made. As I mentioned earlier, the design is completely new. First of all, Makita made the sliding rail/ tubing size small because they wanted to offer more rigidity. Secondly, they installed a four steel rail sliding system, which is a lot better than conventional sliding compound miter saw models. Of all the miter saws that I have reviewed so far, Makita LS1016L 10 inch model weighs comparatively less. Amazon and other retailer websites have the exact weightage written in the product’s description section. I think it’s somewhere around 50 Lbs. This much weight limit makes it possible for woodworkers to easily lift and transport the Makita miter saw from one job site to another. Lastly, you get the standard laser beam projection feature. It basically guides your way to help make accurate cuts. Makita received mixed reviews particularly related to this feature. I was a huge fan of LED lasers a while back when I was reviewing the company’s circular and table saws. Now, I am thinking that maybe Makita should have innovated a bit. 28-1/4" x 25-1/4" x 26-1/2"
Lightweight – You can single handedly lift the miter saw. No extra hand or help is needed. Laser projection guide system for convenient/ hassle free precise cutting. Makita’s one and only signature compact rail design. User friendly miter locking feature. One touch makes it possible to lock the miter at the exact reading where you want it to. Dual side slide motion feature. Dual side blade head tilt feature for bevel cuts. Likeability Factor: This is not a setback or a con, but my Makita LS1016L 10 inch miter saw was stolen twice from a work site. This is my third time purchase, and I am still satisfied with what the power tool has to offer. 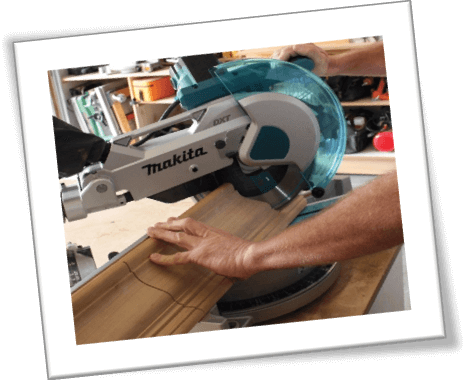 First timers may need to go through the instructions manual and training videos on how to operate the Makita LS1016L compound sliding miter saw. I don’t see any reason why you shouldn’t buy this Makita miter saw. Makita has made a well-rounded product; it is a full-fledged package that’s able to meet the demands of wood workers from all over the world. In case you have any questions about the Makita LS1016L series model, don’t forget to send us an email, or you can call Makita directly.